LAUREN BARRY: I'm Lauren Barry. I am the product marketing manager here at Brightcove. And I'm joining with Kyle Morton, who is the founder and CPO of HapYak. Today we're going behind the scenes. It's going to be more interactive and conversational with Kyle and I, and we're going to show you a lot of elements throughout the event. KYLE MORTON: Yeah. Absolutely. I'm looking forward because this is kind of a good example of a do it yourself, not a huge production. We're doing a lot of these things, like transition between slides, literally, during the broadcast, and you can, too. So we'll get into questions around that as we proceed. LAUREN BARRY: Today's agenda-- today, we're going to walk through why video? So why do we use video? Why are we using it here at Brightcove? Why do you use it at HapYak? And also, why should you be using it within your marketing strategies? It's different for different teams. We look at different KPIs. We look at different engagement rates and video analytics. So we're going to talk through that and see if it's similar for what they track at HapYak. So why video? You have the ability to engage with users within video that you wouldn't have through text. And you can also add interactive elements within videos, which is what we're trying to show you here. And with those interactive elements, you get a lot more data. The fact that it is video, that's just a technology you're using to deliver that communication. So always thinking about what's important to convey during that? Is it a presentation one way? Is it something where you're really trying to solicit feedback? Those are basic principles that are often overlooked when you get into the fray of technology and the technical details to put a video together that are always going to be a touchstone to be more effective. LAUREN BARRY: Let's get into the meat of this. So let's move Around the Enterprise. OK. Are you ready? LAUREN BARRY: OK. So the first place we're going to is with sales. "the best measurement of success for sales is internal training and/or communication where reps watch 100% of the video and answer questions validating their understanding of the content." KYLE MORTON: Yeah, I might think of it two ways. Those are-- what you stated was the goal of the communication. The KPI and success metric of having a person watch 100% of a video, I actually have a pro tip of something that I know is very effective for that, and it's called bad performance reviews if you don't watch the videos. So it sounds ridiculous, right? KYLE MORTON: So this is the reality of it and that's the challenge people are faced with. If management thinks about success of the video in terms of watching 100% of it, then it leads to that follow up someone being penalized if they don't and being how they could get in trouble. So it's weird, but that's the reality that I think most of us are living with. What is the goal? Effective communication, where you can ensure someone understands it, or is the goal that they complied or watched? LAUREN BARRY: Great. So let's move on to our next example. This is also a sales example, and it's from a different version of the sales. This one's specific for our account management team. So I just wanted to highlight that there's a little bit of a difference there. "seeing prospects complete videos at 75% and click the CTAs move a prospect through the funnel faster." KYLE MORTON: Yeah, we do. When you're reaching out and prospecting, you are trying to connect with someone through the story. You want them to receive your brand message. So that is often a better indicator of success, right, how long they spent with it. 75%, it's kind of arbitrary. It's going to depend on your content, but there's usually more storytelling. One thing that I've seen customers doing in their sales outbound process is often sending support videos. So we'll talk about that because support videos are not really storytelling, but they're absolutely used. They're used in the prospecting flow and especially when you have kind of a good marketing automation platform in place so you understand the touchpoints and you know if someone is ready for a nudge, which might be a video with call to action. But really, did they complete the call-to-action, the desired result? We'll talk about this more later. "each account has a unique path to purchasing. So seeing exactly how accounts interact with our video helps us follow up with targeted and relevant content resulting in an overall better customer experience." KYLE MORTON: It's a good goal. That's true. I think we all want to get there. Having all of the pieces in place to capture the behavioral data from your nonvideo systems and then connect the behavioral data from your video into those same systems and then make good decisions based on it, that's where ROI comes from, right? But being able to understand the data, to execute, and optimize your video strategy based on it, that's where the value comes and where you see your ability to do better and your ability to save costs in that process, too. Just as there is that fundamental shift between outreach with a call to action, and then you see what your conversion rate is. It's kind of old school, still happens. Can you understand the whole customer journey? LAUREN BARRY: Yeah, yeah. It's proving the ROI of the video, not only just the creation of it. "as product marketers, we see video as a tool to be able to build a story and tell our story in the most effective way. So high engagement is important to us." KYLE MORTON:. I totally agree. Because I think we're just touching on the nuances of, even folks watching right now, they have a lot of different hats and a lot of different functions. I'm sure there's product marketing managers who want to tell a story about their brand and their products. And then there are people who maybe they can eke out a screen recording, right? They all need the same things, right? KYLE MORTON: It's the same goals but you approach it differently. But for storytelling, I think that's right. You want to deliver your message. We see immersive storytelling emerging. So we've had some folks experimenting with 360 video, new types of storytelling. LAUREN BARRY: That's even better. KYLE MORTON: That's right. And so that can be used for what you do to refine the message even better and tell the story better, make sure you're not wasting anybody's time. Are you looking at analytics to make your stories better? LAUREN BARRY: That makes sense, totally. All right. So let's move on to support. And support, to me, is probably one of my favorites. And I feel like support teams are the front lines. They talk to more customers than even our sales teams do because they answer all of the questions that a customer or a prospect or someone that's taking out a trial may have. "the qualitative feedback is powerful for us, and we're working on quantitative feedback to help us create the right video content." KYLE MORTON: Yeah, it's the irony, right? The support staff is often the least supported function when they have the highest needs in so many ways. 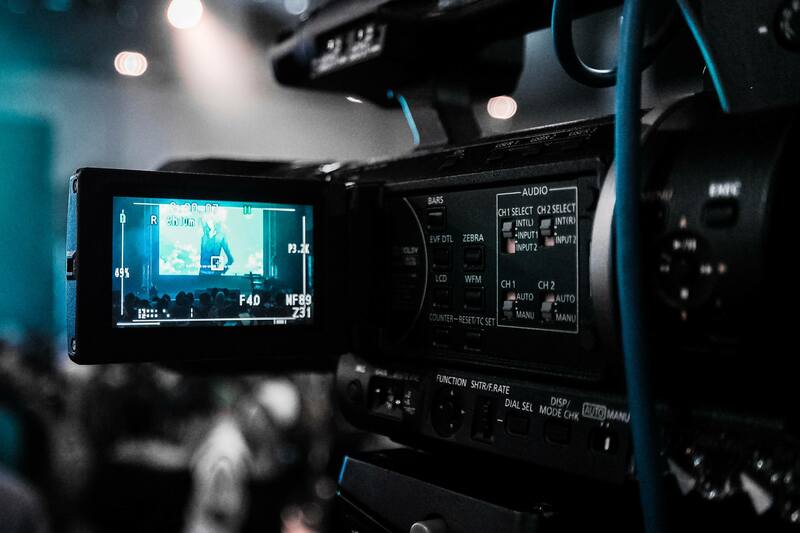 The best teams that we see using video for support functions, will do it as questions come in, they'll actually produce an FAQ and build on their FAQ with the spoken word, recordings and video. So the ROI, it is more as a base. One particular support topic not very interesting. Hard to see in ROI, except the fact that someone screen recorded it, so the barrier's low. 100? 500? 1,000? Because that's very practical with almost any product offering. There can be that many questions. That's when you want measurement about, as an initiative, how does video help? "Viewership is top priority for our organization, proving that people are watching and comprehending our corporate communications and shows our organization is aligned." So we have a new CEO, and since he's joined, he does routine video updates. We have a new CPO. We have a new CMO. So when they joined, he did actually one-to-one interviews with them. So it allows employees, not only here at headquarters, who are able to interact with them and meet him, get a sense of who he is. We have offices in Japan and London and so it sort of gives them a way to be more personally-- get a little bit of a personal interaction with him versus just in email. What's your reach? How many people in your employee base are going to access it? I think in any enterprise corporate communication strategy, you can build from there - What can you do to get the feedback? How can you use techniques from other initiatives in order to just do a better job and have better data to prove that that corporate messaging was received? LAUREN BARRY: True. That's true. All right. So I think we're going to shift out from our enterprise and actually go into a deeper dive into defining what ROI is around, still around the enterprise and in the theme of different groups within an organization, but sort of drill down into some examples and some example KPIs that we are going to go through. There's so many KPIs that you can monitor. These are just a few that we wanted to highlight for you. Move on now. LAUREN BARRY: Yeah, definitely. Yeah. 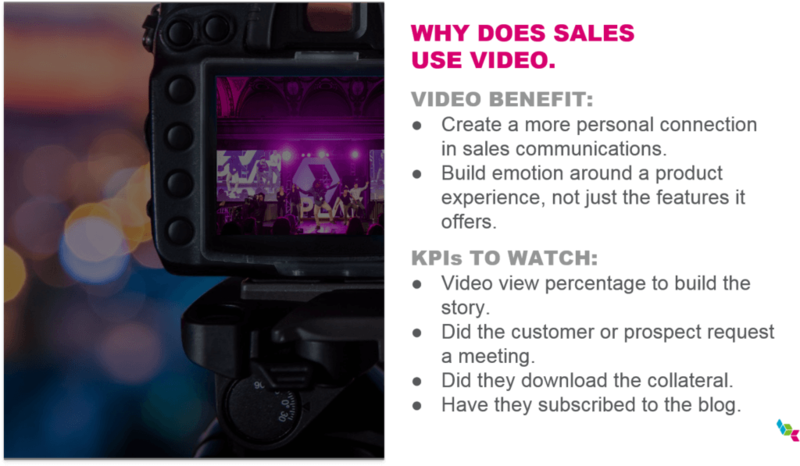 So for our marketing organization, some benefits of why we use video from what we were saying before. Preference clarity, viewers can choose a path, like you were saying. It's a two-way engagement if you have a live event similar to this one. You're able to ask us questions, and we're able to answer your questions. We've done some events where we've done polling, and we've done surveys within the events. So that allows, again, a two-way conversation. If we ask a question and there's a very large portion of it saying one thing, then we can elaborate on that piece. And then it's also easy to identify the viewers. If you have a gated content, you can do simple lead forms. Or if you're enabled with audience to some other one of your platforms, then you can get actual known viewers, which is cool. And some KPIs that we like to watch is conversion rate, viewers to purchase, which is a good one. The live engagement-- so we can actually track how many people used that toggle. How many people have asked questions? These are good engagement numbers for these types of videos and then some campaign pipeline. KYLE MORTON: Right. Yeah. I'd say on the KPI side, it really does break down to what part of your marketing strategy does the content fit? So for campaigns, campaigns and events, this is an event, campaigns that you're going to have an SEM spend for, you really need clicks and click-through rates, right? So if it's a video marketing campaign for branding and delivering the message, then still, your KPIs are going to be engagement. You are going to think about, we were telling a story. How much of our story did they receive? KYLE MORTON: That's right. Did you like-- can we get a positive response through one of those buttons? And then, it's broken down by channels. Was it my SEM campaign? Was it my social campaign? Was it my email? Are Your Video Audiences "Activated"? The KPIs that we see people using, a concept called activation rate, right? Which are people who interact on a previous piece of content in a previous session, they're more likely to interact in future sessions. So when you get someone to interact on content marketing material through chapters, and I'll bring up the how-to slide, through some of the features like chapters that list the content that's in that particular video, the simple act of them navigating one time makes them two to three times more likely to engage in those features in the future. KYLE MORTON: And interesting, it's not even feature specific. So if you have a chapter menu, which lets you, again, skip to a certain point of the content, they're also two to three more times to click on a call to action in a future video. LAUREN BARRY: True. And if they skip to a certain chapter, you can see what they're interested in. KYLE MORTON: That's right. That's right. And so that's where some of the sophistication comes in of marketing has so much data. There's so much data. And step one is to collect the data, right? Most people get there, and they go, step two is really to build dashboards that perform some analysis to tie it back together. So again, just to be clear, that's where the rubber meets the road. That's where people struggle to put it all together. And the organizations that we see that have kind of solved the dashboards, that can make the connection between the behavior in a video, the behavior on their website, that's where they start seeing huge efficiencies in their video production, their overall strategy, and then the results they're looking for. LAUREN BARRY: Yeah. Great. So the next one we have is sales. And for sales, the video benefits that we see is it's a more personal connection. And it's also allowing them to build more of an emotion around the product and also help build a personal connection. We have a campaign that our revenue team does here, and it's called "Meet Your AM." It's probably one of the most talked about customer success video marketing campaigns here because it's really great. And the KPIs that are tied to them is how much of that video-- again, how much is watched? Did they request a meeting? There's buttons throughout the campaigns that request a meeting, get in contact with me, stuff like that. And then also, was the video shared internally? If we have tracking on the video we can see that more than one person has watched it. KYLE MORTON: Did you hit the target? So you're open rates on the email are really important in those types of outreach. That's when you do think about your email design, too, and using the large thumbnail with a play button on it. So I've seen the statistics out there that that increases open rates 30%, right? When you have those there. Right. So then, when people end up on those landing pages, that's it. It was direct. It was a target. I'm trying to introduce myself because I want to have a conversation with you. I understand your needs. I want to help you be successful here. KYLE MORTON: Contact me. Yeah. Book a meeting. So I think in the example that's on the screen right now, and I know we've run with campaigns at Brightcove is reducing the number of clicks to contact someone. So we've talked about calls to action. And most calls to action, it's a link. It's a link to go somewhere. What you can actually do with these interactive video capabilities is book a meeting in the video itself. So just like any optimization across your website or in a shopping cart or whatever you're doing, you lose a certain percentage of people every click that you require them to take. So if you've done a good job in that storytelling, you've captured someone, you can let them perform that whole transaction without ever leaving. And we see two to three times higher conversion rates when transactions are completed in the video as opposed to an external click. KYLE MORTON: That's right so I think it's a great technique. A lot of people don't realize that that's possible, that a call to action can be a highly functional widget, if you will, not just a link. But that's a really great technique. KYLE MORTON: Really easy to measure. That's what's great about it. Oh, did I book a meeting? KYLE MORTON: And do I feel good about this, right? Yeah, but like was it opened? That's concrete. Did they book a meeting? That's concrete. Great stats for you. Great stats for your boss. LAUREN BARRY: Very true. Very true. So we're going to move on to our next, obviously, personal favorite, which is customer support. The benefits that we talked a little bit through earlier, we'll talk a little bit more now. 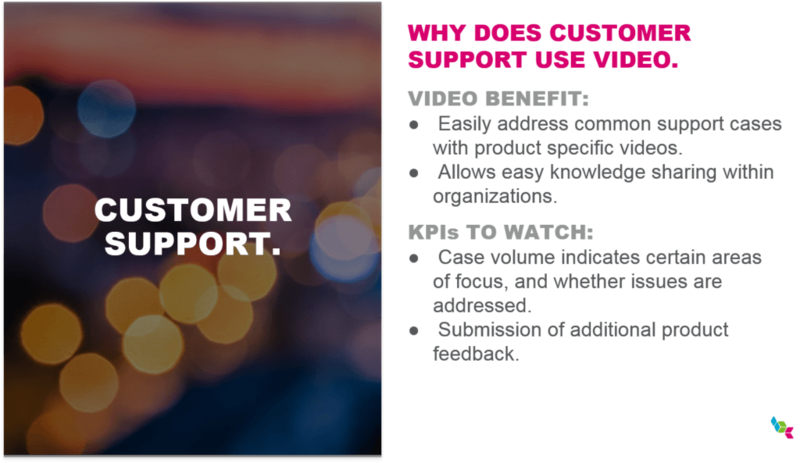 Easily addressing common support cases-- this is a great use and a great benefit for video. We have Bob Bailey, who is our famous training specialist, here at Brightcove. And he has many videos. And is pretty well-known When we have our PLAY event, everyone searches for Bob. So it's a great, great case and a great use of those videos. And he walks through exactly how to do certain things for the certain features that we have. So the KPIs that we watch in terms of the support one is the reducing of the tickets for that specific feature if we did a video for it. Has the case line gone down for that? And also any additional product feedback. It's not really KPI, but it's something we watch. LAUREN BARRY: It's the emotion again. KYLE MORTON: It's hard to form emotions with a screen, with text. But you see Bob, he's explaining. And he's really try to help you. He's done a lot of these things. He really is. He cares about it. And you can see that and it's communicated. So just strategically, when you can have kind of memorable individuals who can be the face of it, I think it's really a good strategy. KYLE MORTON: Crowdsourcing the support is another really good strategy for still helping people with that content and showing them it's a demonstration. Even if you don't have kind of the personality or story-driven ability to infuse into support, that's a strategy that I've seen be really effective. In terms of KPIs - tt's the reduction in the cases. They're cost avoidance that is measurable. And then you can compare that between a crowdsource strategy, maybe a storytelling strategy, and we've even had people use choose your own adventure style for support. If you think of it like a call tree. You dial up for support, press one to do this. Oh, OK, yeah, that's not me. I'm going to press-- and you got through it. That same support tree can be created in video. LAUREN BARRY: That's true. That's true. KYLE MORTON: And anecdotally, I'd actually love to run some sort of study to have some hard stats on this, but I've certainly gotten anecdotes from customers where the tone of support kind of dials down when you're using video and when there is a face to it, right? Humans treat other humans with a little more care than, oh, I'm so mad. I can't believe it's broken. What's happening? Oh, my god. I have a deadline. Video kind of can make those more productive. So getting the videos or getting the communications from the CEO from the C-Suite, from even we do a lot of Google Hangout because it gives a more personal connection to someone on the other side that might not be able to be in the same room as you. It allows you, again, to have that pinpoint accuracy. Who has viewed the video for how long? Did they watch the whole thing. Did they get to the end where the surprise announcement was or did they not and they don't know about it? And then also being able to test the knowledge. KYLE MORTON: On the KPI side-- reach, are people receiving it, where are they viewing, always the good baseline. And then thinking about how am I going to use any feedback that I can get, either to refine the message or to follow up on the message? LAUREN BARRY: That's true. And I assume that if you're doing a town hall or you have the CEO speaking live, if you're doing a live campaign, that's where the questions can come in. It's easier for an employee to ask a question that maybe they've been thinking about it. They didn't know who to ask. They didn't know what forum to go to. And if the CEO is asking if there's any questions, it's a great way to get engaged that way. So I think on this one, we're using Pigeonhole as the chat function, which is great, right? Because anything that you can find to integrate-- chat's a funny thing because it seems so basic. Everyone always thinks it's just the most standard thing. But there's an incredible amount of details that have to be attended to for that solution. So you have to be able to integrate one of these components to know that you can have that back and forth. If you're trying to establish a Q&A, it's a fundamental detail. Tell me more about what I'm seeing. Is this live stream video as well as the slides all HapYak products? LAUREN BARRY: The video's Brightcove. The slides are HapYak. KYLE MORTON: That's right. So just to explain that a little bit, a very traditional way to do something like this is there's two video streams that are kind of merged together so people get one video that's playing. What everyone's seeing is actually two different things. One is web technology, which is the slides, and the other is the stream from Brightcove. And then our technology is synchronizing the two unique elements. KYLE MORTON: Yes, HapYak can create personalized video with individual data. So there's like a whole advanced topics area, if you will. So when you think about interactivity, it's not the best term, but you are thinking about overlaid and synchronized elements in addition to interactive elements but sometimes they're just display. LAUREN BARRY: Yeah. It's great. This is a great last question, and obviously, a lot of people want to know the answer to it because it had 15 votes on the Pigeonhole dashboard. KYLE MORTON: It really depends on how much video you've already done, right? If you have a bunch of video but it's just a bit scattered and you don't know how it's performing, a place that we see a lot of customers starting right now is with the user sentiment widget, that thumbs up and thumbs down. It can be rolled out as a template, which means every video instantly gets it. It just shows up. And then you can start understanding, through simple user metrics, do people like it or not? When you use that element on a page, it's often confused with did I like the page? Did I like all those other elements? So you really do have to put it in the video itself. But that has been a stepping stone for people to build a broader strategy. To say, this is a template. It's on every video. They like these. They don't like these. And then they can say, hey, we have data we never had before. Let's have a data-driven video strategy, and that's when the ball really starts moving in the organization. So if you already have these, I think that's a great place to start. KYLE MORTON: Yeah. That's really just a benefit of the partnership that we've had. So it's a pretty seamless integration. Fundamentally, it's a plug-in on your Brightcove player. But there's a bunch of other technical details about where you access the tools and things like that but that's the fundamental integration. KYLE MORTON: Yeah. They come along for the ride wherever that player is implemented. So there's different ways that you can do some more advanced things, but Brightcove provides a really streamlined path for our integration that our joint customers use. LAUREN BARRY: That's great. That's a great way to end it. So we really appreciate you all joining us. We hope you enjoyed. And we got a lot of thumbs up. We'll have to check it out when this goes off. I believe our emails are on the slide. If there's any further questions once we're complete, feel free to email either myself for Brightcove questions or Kyle for HapYak questions or either of us or both of us. We like to answer questions. And we thank you for being here, and stay tuned for next time. These 1-to-many video communications are an efficient and scalable way to build personal relationships with customers. They'll save you time while making customers feel cared for. But they differ from 1-to-1 video personalizations in a crucial way: they reflect the company’s activities and efforts, not the unique activities and interests of the prospect or customer. 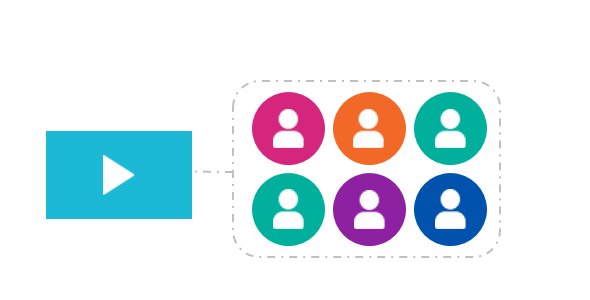 Want to get more specific information from your audience segments? Of course you do! Unfortunately, traditional analytics aren't enough. You can’t decipher why and how users behave the way they do. For example, did the viewer watch the video again because they loved the content? or because they didn't understand it the first time? Successful marketers don't just identify communication trends, they cultivate them. Furthermore, today's sophisticated video marketers aren't content with conjectures or hunches - they want to know what's working and what's not. Video interactivity and personalization provides the deeper data and analytics necessary to engage in personalized campaigns and improve overall marketing results. Ready to learn more? Don't miss our LIVE EVENT with video technology partner, Brightcove. 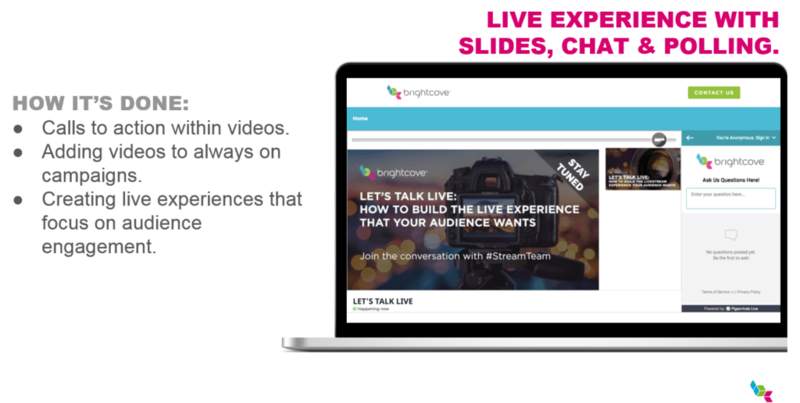 Our newest iteration of our SlideSync product pairs with Brightcove’s live streaming to deliver an end-to-end solution for streaming corporate events of all types - easily consumed on any device. Delivering an Enterprise-wide live stream to thousands of employees around the globe is a huge challenge for most organizations. The previous generation of live stream solutions often required proprietary hardware or software. These were invented without considering modern needs like mobile device viewing, web-analytics tracking, and active viewer participation. The integration of SlideSync into the Brightcove solution resolves previous challenges like event registration, mobile optimization, and viewer interaction. Furthermore, with HapYak, users are provided a web-based dashboard for managing synchronized content within the stream during the event. We want your Enterprise live stream to be seamless and the reach of your videos limitless. Communicate Complicated HR Policy Changes: HR teams could teach marketers a thing or two about email open rates. The fear-mongering *3RD ATTEMPT - DEADLINE IN ONE WEEK* always seems to get an open, right? 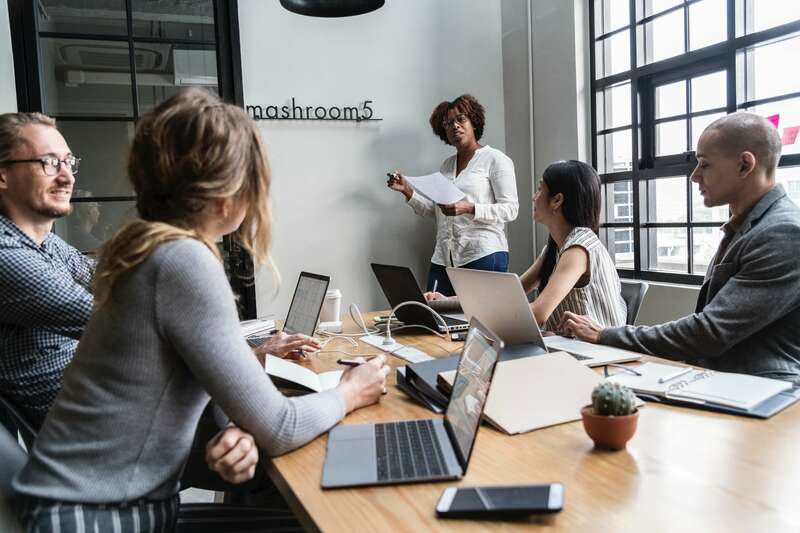 Joking aside, Human Resources professionals often make requests of employees that are time-consuming and not easily understood. By live streaming policy changes and sending a follow-up video quiz, they can quickly get everyone on board. 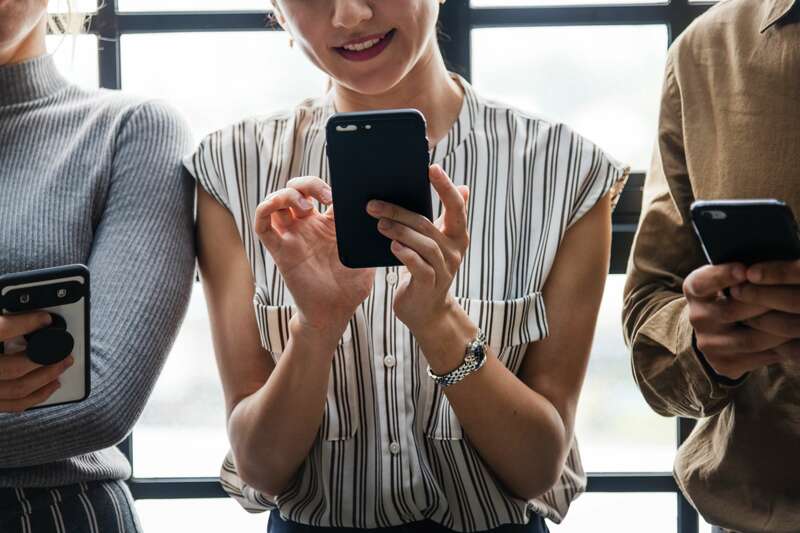 Video has quickly become the number one way to connect with buyers, viewers, and followers. For B2B sellers, a strategic video marketing approach tailored to a target audience can provide one of the highest ROIs for their brand. 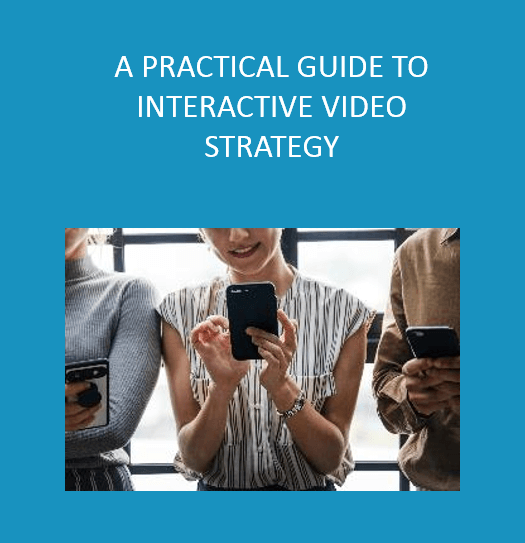 And an interactive video strategy can be just what’s needed to take a marketing campaign up a notch, improving lead qualification, stimulating the sales cycle, and maximizing return on various video assets. Any video marketing strategy, interactive or not, should include certain stages. Create quality content that’s relevant, to the point, and hooks an already impatient audience. A smart approach is to plan B2B video content that can be reused and repurposed. Be it on YouTube, Facebook, or embedded on your website, determine where your audience consumes their content. Use proper optimization for search engines, including publishing times, custom thumbnails, keywords, and transcripts. Powerful analytics that cover everything from reach to video engagement and monetization are a must. An online video marketing platform allows you to continually capture customer insights which, in turn, help you make smarter decisions that lead to increased audience engagement and revenue. Interactive video content is a better way to educate, entertain, and engage your target audience than “traditional” video experiences. With static video content, the customer's role is passive; they're left to their own devices in understanding how a solution might address their specific needs. With interactive video, a customer actively engages with the content creating a feedback loop with the brand guiding the viewer to the relevant content he or she cares about. In other words, it’s a marketing campaign strategy that puts a premium on customer input, creating a two-way dialogue that delivers a personalized experience from start to finish. Get the Click: Try satisfaction and sentiment feedback such as a thumbs up or thumbs down in product or promotional videos. Empower the Viewer: Using chapters and resource links in how-to and explainer videos creates an active learning environment for your prospect. Guide the Journey: Add branching or “choose your own adventure” with personalization to advertorial videos to take your B2B storytellingup anotch. Still trying to understand why you should you make interactive video a part of your marketing strategy? Video helps to differentiate your brand’s message and explains complex ideas in a way more people can easily understand. Video also improves recall - people are wired to process visual information with movement and remember stories (it’s how we learn!). Once you know the objective and have honed in on your video marketing KPIs, it’s time to define your target audience. For example, if you’re hoping to clinch a sale, the video should be aimed at the people who have purchasing power. Likewise, education videos won’t be embraced by decision makers who already know the landscape. These first two steps are common of any content marketing initiative, know your goal and audience, but then you need to answer, How?. Finally, create the content they care about. Market to prospects with techniques like personalized interactive webinar invitations. Data collected from quizzes, surveys, and types of downloads help cut through the clutter your audience has grown used to. When customers see their name they’re more likely to stay engaged because they feel they’re part of the story. Sales oriented content may include interactive branching videos. Similar to video games where you “choose your own adventure,” they allow buyers to decide their own path by answering questions designed to pinpoint the ideal solution. Product demonstration videos help you deliver a better customer experience, onboard more effectively, and close more sales. When used to explain the features and benefits of a product or service, they are an exciting visual way to help customers understand how you solve their challenges and why they should buy from you. Customer success videos such as analytic dashboards let users track their success with a product. Buyers can interact with personalized overlays or hotspots updating them on their progress. The possibilities with interactive video are endless. 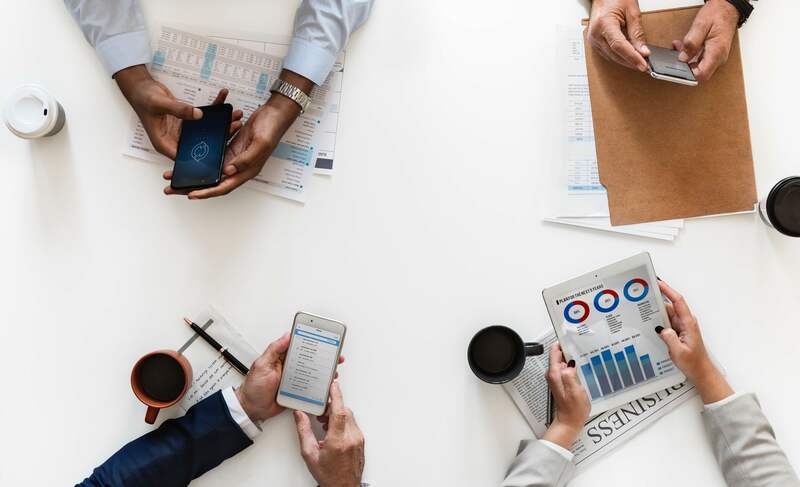 Not only can it be used across every stage of the customer journey, it can be utilized by multiple departments across your Enterprise organization. From branching to customer polls and calls-to-action, you can use interactive video at all stages of the funnel to solve a buyer’s problems. Understanding your audience and what they care about is knowable if you just ask. Instead of using analytics to measure time viewed or video completion rates and inferring their engagement, you can use in-video interaction points and annotations to request feedback and engagement. The data from these interactions is much more rich and actionable than those from your standard online video platform. Once you figure out these key interaction points, your video marketing becomes more effective—every Enterprise team can benefit, from marketing and sales to customer success and support. 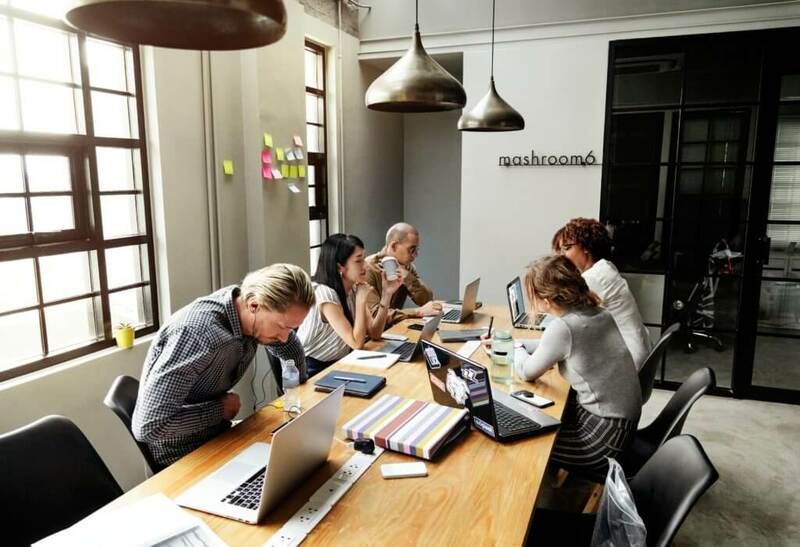 Other internal-facing teams like communications and learning, HR, and finance can easily find ways to use interactive video, communicating better while gaining insights. All brands want to create memorable content that engages. Interactive video, with its wealth of options, may be your best way to do just that. It all starts with a well-defined strategy. MATT CHILDS: Our buyers are interacting with video content, with our websites, any form of digital content before they even make a decision. Most of that journey is done before they even raise their hand and say they're ready to purchase or make a purchase and take action. So it's super important for us to leverage this content in a way that actually tells us not only who these people are and what they care about, but allows us to draw them in and get them to convert into buyers. Video is very, very crucial, and it's the biggest opportunity that we see to turn video viewers into customers. So today, we're going to dive into how to take advantage of the opportunity shoppable eCommerce video provides. How Does Video Play Into Your eCommerce Strategy?? And to do that, this is a common formula that we see across different marketing use cases but applies very much to what we're going to be talking about today is that you get the right viewer, you get them engaged with the right content, and at that moment, you've got them captivated. So how do you get them to convert and buy? That's the whole point of shoppable video and using video in eCommerce- taking advantage of that moment. KYLE MORTON: There is a convergence between eCommerce video strategy and content marketing- you're trying to sell things, but there is a nurturing flow. There is the establishment of deferred intent that are also critical in order to build up to finally have that moment. We all see the power of video to communicate, using it through that entire cycle, not just thinking about the transaction but through the buyer’s journey. Paired together, interactive video and content marketing ultimately lead to more transactions. Every video has a purpose. You're producing it in order to help move someone along the journey. There's a specific outcome. Just like you think of everything in your digital strategy as-- how do you get someone to take that next click? Well, that's what we're talking about with video. Interactivity is just that fancy term, but it just means getting to that next click to keep those people engaged. If anyone looks up trends of consumer video on the web, the top slot is entertainment and music videos. The next two slots are how-to and product reviews. So there is tremendous demand and appetite for this content type because people really want to understand and go deep on the product. MATT CHILDS: It's also great because of the SEO benefits. Because a lot of people go to Google to purchase a product. Or they're trying to solve a problem, and they'll type into Google, how do I do this? And they land on that video. Then you have their attention. You can drive them through the journey. MATT CHILDS: The next type gives the overview of the brand. It tells a story. When you think about going to create videos, you probably start here - it sets a tone of communication with customers and clarifies your competitive differentiators. KYLE MORTON: Yes, the first thing on your website, for more and more brands, is video. If you follow that logical line, your first experience is going to be beautiful and branded, communicating with sight and sound, not just words on a page. It starts at this top level and should continue through additional promotions. MATT CHILDS: What about behind-the-scenes content? This is more sophisticated content, it builds transparency and loyalty. KYLE MORTON: It's interesting, right? 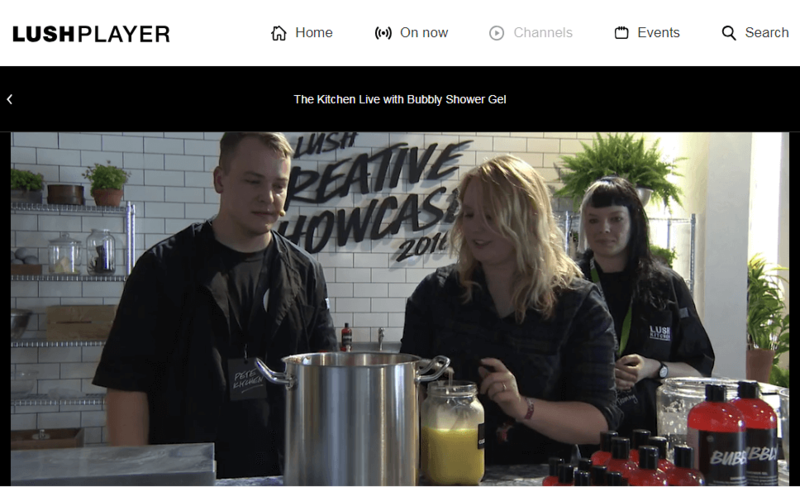 You wouldn't think, let's show how something is made in a kitchen or a bubbly shower gel, right? But that's where it's useful to make the connection between your content marketing plans and your eCommerce strategy. eCommerce marketers will ask, “what do I do next?” Remember, your audience’s consumption appetite is insatiable. Keep going. MATT CHILDS: Let’s talk about another type of content, lifestyle with product content. This content showcases your brand and products, showcasing the value of a specific product or service. Think of testimonial-type videos. This is a video player that interacts with page-level shopping elements. 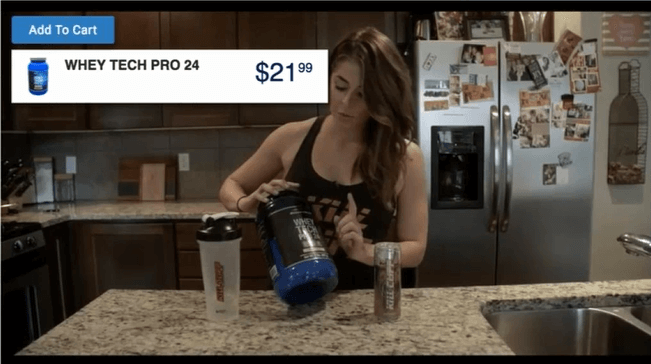 Joyus has made it really easy to not only engage with the video itself but to add the items that are featured within it to your bag or cart for checkout. To clarify, this is a combination of a video player and a site-level component or page-level component allowing the viewer to take action. KYLE MORTON: In the cases where you do have those landing pages for a particular experience, and you have control over more than just the video frame, you’ll want to consider the whole experience, but the call to action, very clear, right adjacent to the video. It's present the whole time. MATT CHILDS: Now I'm going to show you the future- where you can add that item to your cart and actually make a purchase from within a shoppable eCommerce video. KYLE MORTON: In the last example where you had control over the whole page, but with this technique it belongs to the video. And that’s great because you can also use it in marketing campaigns with different landing pages. This packages up the same interactive functionality for eCommerce videos, but it makes it portable. 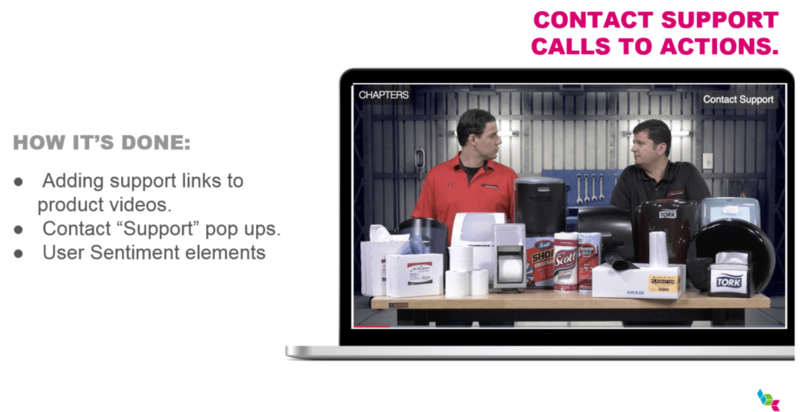 Now you can deploy eCommerce video it in multiple locations, not just a product page. The results? We see a significant increase in the click-through-rate on the calls-to-action that appear inside the video rather than adjacent to the video. MATT CHILDS: Remember, this could be an editorial content on the blog. You can maintain that conversion opportunity- might as well give them an option to take the next step, wherever they may be viewing that video. KYLE MORTON: Yes, West Ham United is a UK football club with a storied history. One of the most important products that they offer are their jerseys. This year, they wanted to supplement their existing strategy, their basic advertisements, but see if they could use their video content to add incremental purchases. 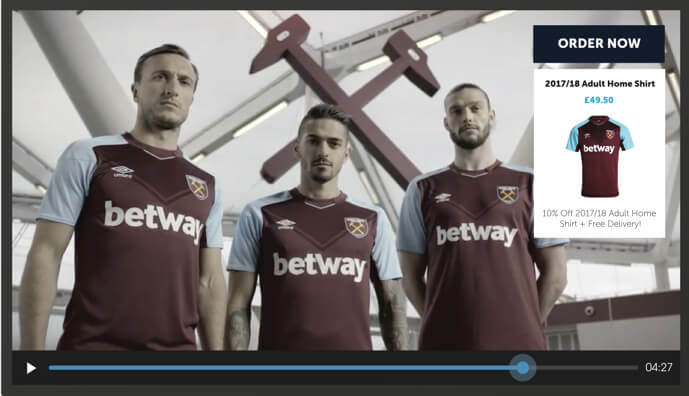 West Ham United Example: to see this shoppable video in action, hover on the video overlay. You’ll see the jersey for sale. The results? This Marketing team was able to attribute 400 net new cart adds within the first week. Herbalife does a great job with video. It’s quite impressive how strategically they've implemented video in order to communicate across their resellers and customer base. e videos on landing pages every time they launch a new product because they know it increases conversion rates. Expanding this video strategy to encompass multiple channels at every step of the buyer’s journey is yielding better and better results. 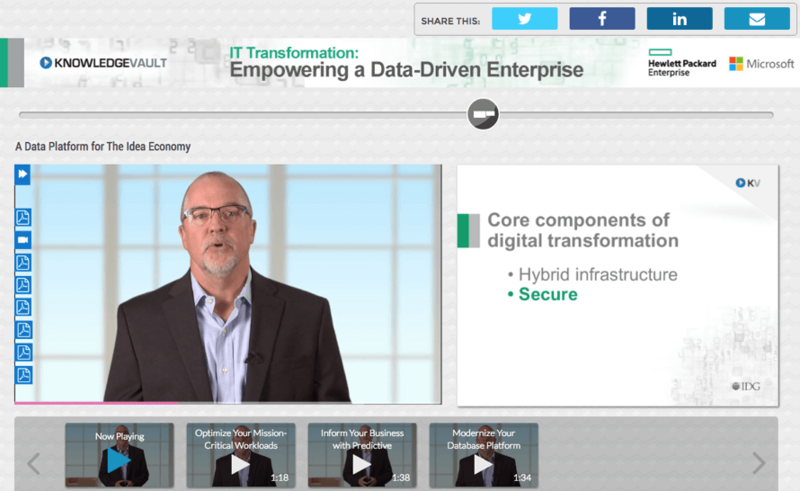 For a recent product launch that they did a clickable video with overlays. These interactivity points at different spots throughout the video timeline allowed their viewers to control their experience and actively engage with the video content. The results? Fantastic. This organization was able to attribute over $100,000 in sales directly to the shoppable video engagement in this campaign. This overshot their click-through-rate goal by 9x. Something I'll share about the click-through-rate- they placed unique calls-to-action at the beginning, middle, and end of each placement. The clicks occurred about one-third into each section. Hopefully that insight helps you in working within the best practices of video optimization. MATT CHILDS: Great, before we move to questions, I want to talk about some key takeaways. Select your best video asset. Assess current video performance and create a wishlist of what you’d like to improve upon or test- and then get started! Choosing among several thousands of video assets can be hard. So why not start with a group? You can test optimization techniques using HapYak’s easy templates to apply changes and scale efficiently. Get creative with your definition of an eCommerce video. Embrace the whole buyer’s journey and don’t just test interactivity on product pages - every video can be improved! Employ the right set of video marketing tools that will allow you to track and measure your results, as well as show the ROI of video. "I have a handful of product videos. 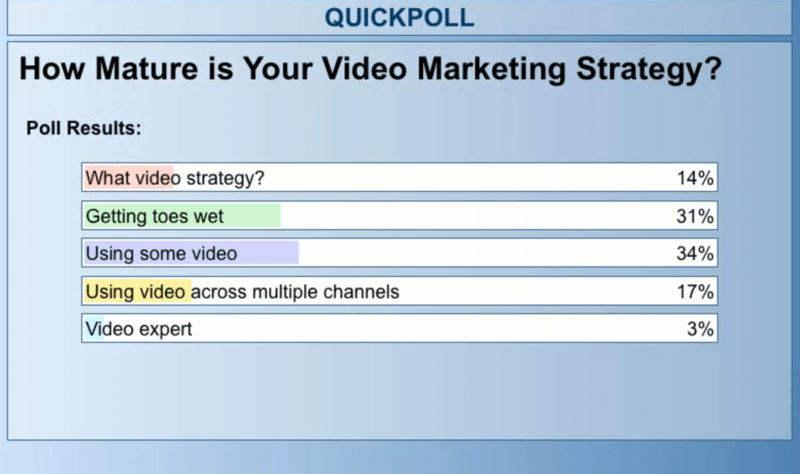 How do you recommend testing and measuring interactive videos?" Think about measurement first, right? So how would you measure the success of that product page without interactive video? There are lots of different measurement tools- your cart system or web analytics. Regardless, think about the calls-to-action you'd use on that product page and then think about how you would connect those web-centric CTAs into the video itself? Integrate your content mediums. You should approach this as if video wasn't involved and then just apply those same decisions and content marketing logic, just integrating it into the video itself. That's the best way to think about it. "Can we use HapYak Interactive Video on Facebook and other social channels?" Most of the social networks are still walled gardens, meaning external tools aren’t granted access at this time. HapYak is part of the native Brightcove player. But even though the Brightcove player renders in Facebook that functionality isn’t available yet. Strategically what I can ask you to consider is, “how are you going to leverage your social strategies in order to drive traffic to your site where you have control over the whole funnel?” From an eCommerce perspective, you have to remember that anything that happens on Facebook… well, Facebook would want a piece of the action. That's the reality of it. So create that journey from social to your site, because you don’t want to share your revenue with Facebook. "What other metrics should we be reporting on for eCommerce video?" If video is tied into revenue, and marketing automation is a part of the equation, which viewers are viewing those videos? Are high-value contracts or frequent shoppers viewing content? Can you identify them? Also, don’t become too consumed with monitoring completion rate. We've found it’s more important to look at the drop-off point. Once you know that, you will know how to optimize your content and place calls-to-action that engage them at these spots. Furthermore, utilizing interactive techniques lessens the burden for the video production team. They don’t need to go recut videos, instead, anyone can add new or different CTAs, making an effective use of that video data. Suddenly, you've created a much more effective experience without having to take on the expense of creating the new asset. "What is the best practice for taking CTAs that were on the page and bringing them into the video?" Remember, just because you have an adjacent call-to-action or a prompt below the video, don't think that's enough. We absolutely have evidence to say that adding an in-video CTA is not going to create diminishing returns. It’s always good to test. In fact, our results show it’s going to achieve a better click-through-rate and viewership than the on-page CTAs. On the technical side, it's possible to, in some cases, to “call” the on-page functionality. So if you've already invested in technology for exactly how your cart works and how you pull people into that buyer’s journey, you’re not going to want a custom API integration. That’s okay, but consider how triggering an in video call-to-action could be a great way to leverage what you've already created. Many organizations use Adobe Captivate for making creative eLearning content, revitalizing traditional and somewhat passive, slide-based courses with video and other dynamic media. We know video learning is more memorable because it engages multiple senses, sight and sound, yet, it's still a largely passive experience. What if we could integrate another sense? Touch, perhaps? It's possible. 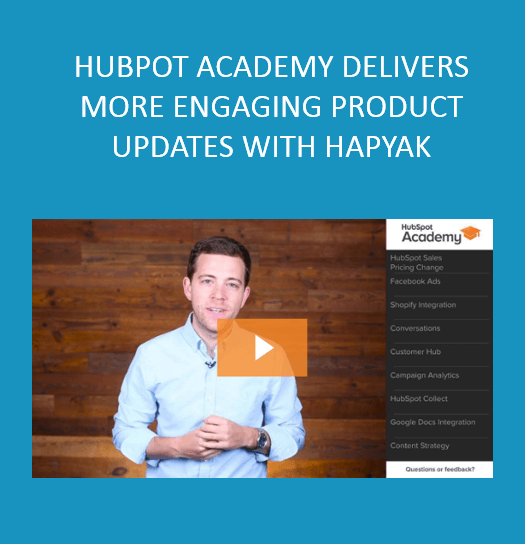 Paired with the responsive design and mobile capabilities of Adobe Captivate, HapYak's interactive videos keep students in an active learning state (and provide engagement metrics for instructors). Imagine learners selecting and clicking on video hotspots, determining their pace and depth through a series of interactive video branching choices. The possibilities are endless! 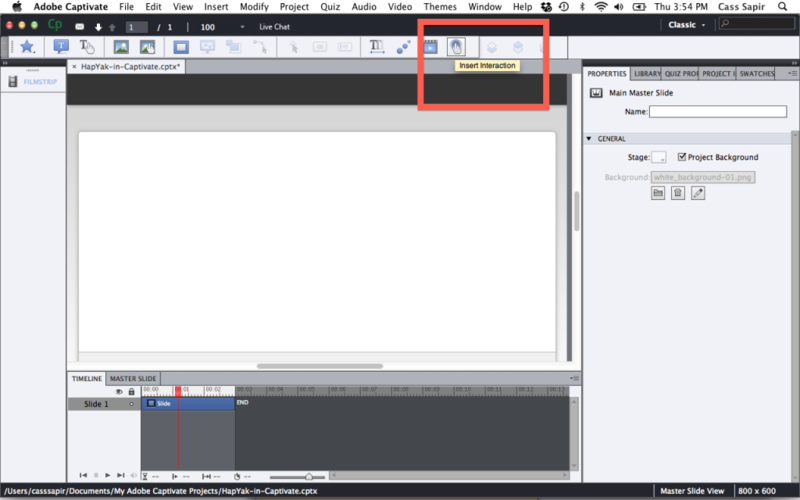 Luckily, HapYak and Adobe Captivate work together easily, making interactive video course creation a breeze. We'll guide you through the simple, four-step process; see how easy it is to make any video interactive in eLearning. In HapYak, go to your project and copy the "view landing page" link. 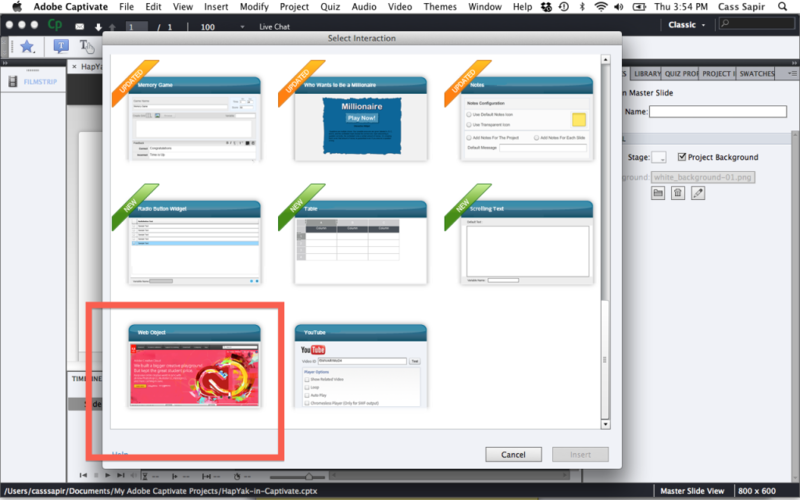 In Adobe Captivate, select "Insert Interaction". Select the "Web Object interaction type". That's it! 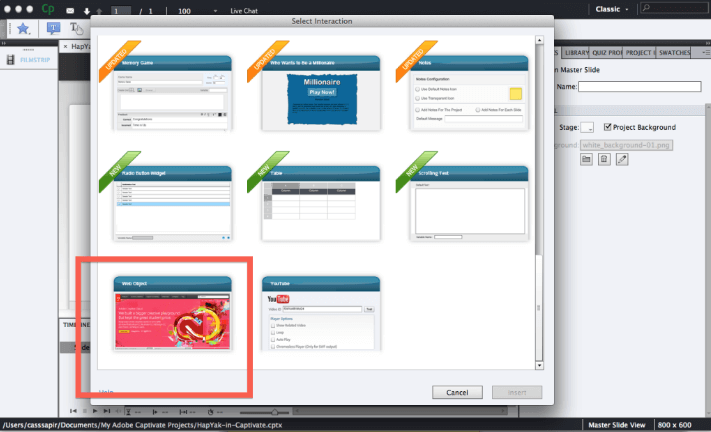 You've published interactive videos to your Adobe Captivate course. Get stuck sharing content between HapYak and Captivate? Captivate may paste the landing page link twice (it's a known issue in their system). If this happens, simply remove the duplicate. Can't publish to HTML5? To work around this, you will need to add "?user=guest" to the end of the landing page link. For example a URL string, https://hapyak.com/portal/viewer/71ec0ca6482a8daad98f1ed53158b9fe would now be https://hapyak.com/portal/viewer/71ec0ca6482a8daad98f1ed53158b9fe?user=guest. You're done! If you have any questions, Contact Us. Remember, immersive, interactive eLearning is valuable to students because they control their experience. Students can learn at their own pace, skipping ahead through chapters or diving into challenging concepts with a PDF download of supplemental material. There's no impatience and boredom, or fear of being "left behind," because the student is building their own personalized context or ideal conditions for learning- that's pretty powerful! 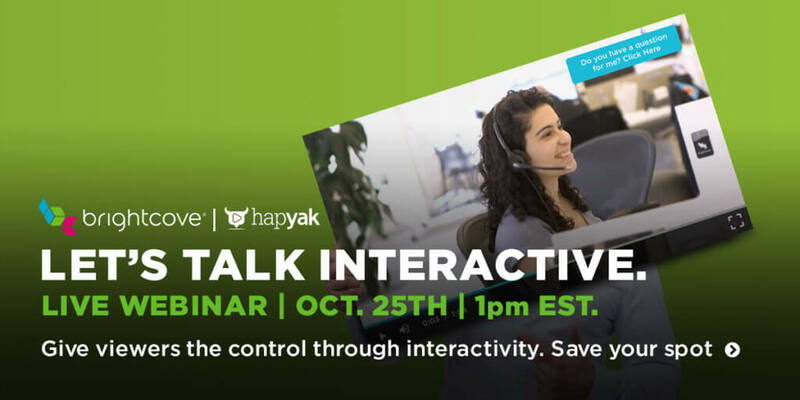 In partnership with Loyalty360, HapYak's Founder, Kyle Morton led a webinar on personalized video. Kyle shared not only the different methods for deploying interactive video for customers but also strategic business strategies for personalized video and the real results both B2B and B2C organizations. Below is an edited and enhanced transcript. I'm really excited about today’s topic because it represents one of the major trends that we see among our customers and in the market more broadly- taking personalization techniques that have been used elsewhere and applying them to video. A mega-trend for all digital communication, video fundamentally communicates better. It's why I turned on my webcam. So hopefully you can see me, get a little bit more out of this message. It's why everyone on this webcast is probably already making investments in video, large or small, but doing it because of the undeniable draw of being able to communicate as a human being, as a human with sight and sound. We know it’s the best way to deliver your message. Video is key to every part of the customer lifecycle, whether you're on this call because you're thinking about driving conversions in e-commerce, or if it's B2B software platform sales, or if it's some sort of nurturing or video support. When people think about personalization, it's usually discussed along the lines of a campaign. A specific outreach, a specific message, that has an intention of adding somebody's personalized content and turning it into a conversion action right away, right? That's absolutely a great use case. Video is used throughout that lifecycle and can add value to each step. Video is powerful, effective communication. Personalization is a technique that makes it highly relevant and actionable- and that's the key. The old way of delivering these messages is, in fact, the most common way. You make an investment in a series of videos to promote something or inform someone, it could be how-to content or promotional; then you publish and market that. It’s still highly effective because video itself is highly effective. But what we really want to review is how the "best of the best" are doing it, folks who leaned in and recognized this truth: video is your most effective content type, but it's not just a content type. It's another arrow in the quiver. It's a great message. But in the broader space of web technology, there are really sophisticated automation platforms, integrations of CRMs, A/B testing, and optimization frameworks. There so many technologies and infrastructures that are deployed for standard static web content, if you will, that often aren't applied to video- if nothing else, if nothing else, just kind of considering that. Consider all the ways that you already optimize everything you do with your digital strategy. And where is video included in that? And where is video left out from that? Think about that. Because it, in and of itself, might illuminate new ways to benefit from what you're doing with video. What the best of the best are doing are not delivering one message to everybody, but delivering one message to one person. Because it's about respecting that communication, which is another way that I like to think about personalization of technology as a whole. But what the challenge is, is needing unified data systems that will help you identify from the total potential audience- it could be actual people who are more likely to engage, more willing to engage. What their preferences are, what their behavioral patterns are, is key to being able to be effective with your content strategy. All personalization flows from actually being able to know something about these viewers. Personalization can, in terms of the techniques that we'll look at, be either visual personalization or behavioral personalization. Not just saying, “Hey, welcome back, John. Glad to have you here.” It could be that John is also looking for how-to information. So, first and foremost, I need to put the links for the how-to content at the top of my navigation menu, tailoring my content for John within the video. That's fundamentally what personalization comes down to, the right action at the right time that's going to be effective for the right person. Lowers digital communication barriers to prospects and customers. They feel embraced in a one-on-one conversation, which lifts engagement. Respects for the viewer’s time, but also their experience. By empathizing with the viewer first, you can deliver the best content. Provides super rich audience data allowing for content and campaign optimization, refining your marketing efforts with each iteration. Accelerates conversion, as this more considerate, humanized communication strategy generates brand affinity from the prospect. They know you, they like you, and now, they want to buy from you. Keeping our poll top of mind, How do you do it better? How can you think about it more strategically? One of these ways is the right action at the right time- presenting these calls-to-action in videos. Personalized calls-to-action convert 202% better according to HubSpot. That's such a fundamentally easy value proposition, an easy justification to try personalized video. Once you define why you want to create custom or personalized calls-to-action, then you have to define “the what” and “the how.” Time nurtured, how are you going to reach them? How are you going to follow up with them? And then what's the specific content? Determine Top Performing Offers and Creative: A/B testing, either using Optimizely or Adobe Test and Target, gets you started with a personalization strategy. You’ll do this because you want to know what types of content and what types of calls-to-action, broadly, are going to perform. Create an Automated Campaign: Utilization of a marketing automation platform allows you to follow-up based on behavioral data and identity generation. After an opt-in, you can nurture that person over time. If your conversion action is to generate a lead, then you’ll see how this directly relates to the reduced acquisition cost once video is introduced. 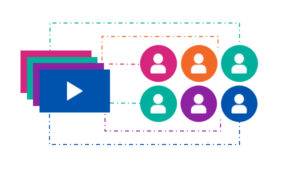 Make a Personalized, Interactive Video: Using the data from what you've collected through the nurturing process, you can start connecting all the dots, building an asset that is customized and contains this specific customer information. It will be highly relevant to that person and delivered at the right time. 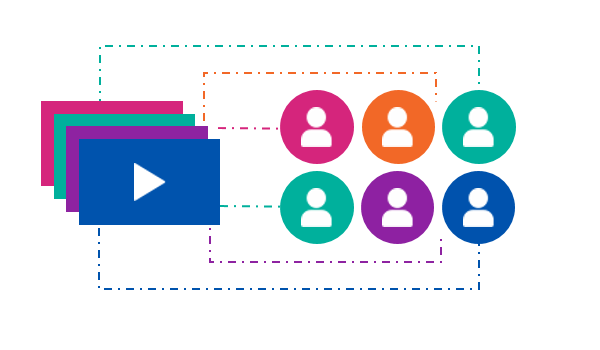 Just like with anything in the marketing stack, there's a lot of pieces, but integrating all of them together is fundamental to the value you're going to get from your video assets, making them more effective and engaging. 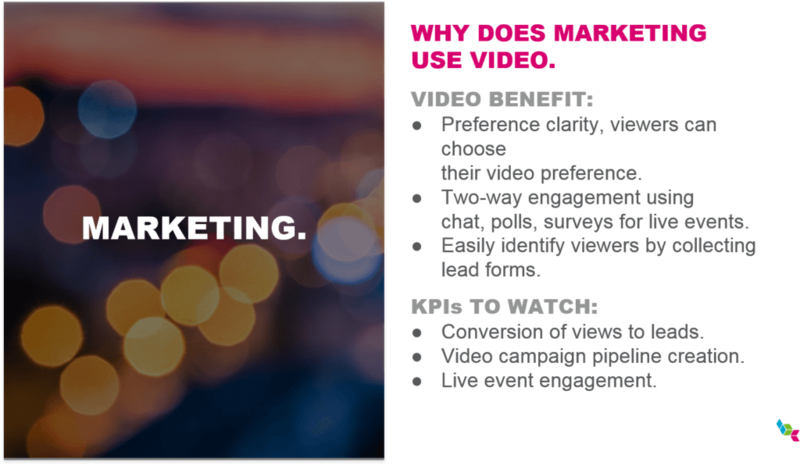 We see people using video in three ways as part of their personalization strategy. The first would be around the video asset itself- so on a web page, while delivering the right video. The next would be within the video itself, having those personalized calls-to-action or other custom overlays. And the last would be how web and video tie together but through a marketing automation platform. The goal is to run a campaign that pulls people in and gives them web-based access to personalized video assets. The first, this is very much via Adobe Test and Target scenario. If you're using some of their content delivery form information, being able to have metadata that's very robust, you can use this metadata on the videos indicating things connected to somebody's user profile. So this is another thing to consider when you want to use personalization there is you can come up with a set and say, I have five videos. I want to A/B test them on rotation to see which one people engage with the most. Where it turns into personalization is say, I have five videos. One of them is a how-to video. One of them is a promotional video. One of them is a product announcement, and so on and so forth. 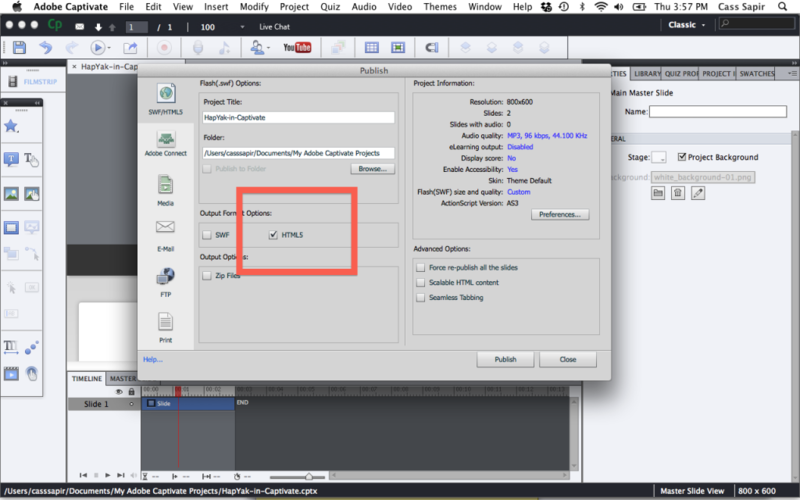 The video type is present in the metadata and can be used with the metadata of a user profile. Think, when they log in or when they visit your site. You know that, in the past, they've visited videos of that type. They have maybe expressed interest specifically through their profile in the marketing automation platform. Then you can use that information to select from the A/B set you’ve created so that based on the metadata, the site serves that specific video. That's a really cool and I'd say most commonly implemented solution because it's fairly generic, right? If you're personalizing other web content, this is treating video just like another content type. This next one is personalizing the video content itself. You may all have received a bill in your email, but there was a link to a video version of your bill. I've gotten these from Verizon. Then there'll be video content that has my data dynamically injected into it- I can see my usage and name. It's a one-to-one video asset. For me, this one video was created. It can be a compelling, customized experience. There may be some limited use cases for using this kind of customer information. It depends on how you're going to apply it. There are two techniques for how to personalize video content in this fashion. One is burned-in, the kind of industry term. The other would be the overlay. There are software and services that will allow you to export a list of your known contacts and then, well, generate an actual individual video asset for each one of those contacts. 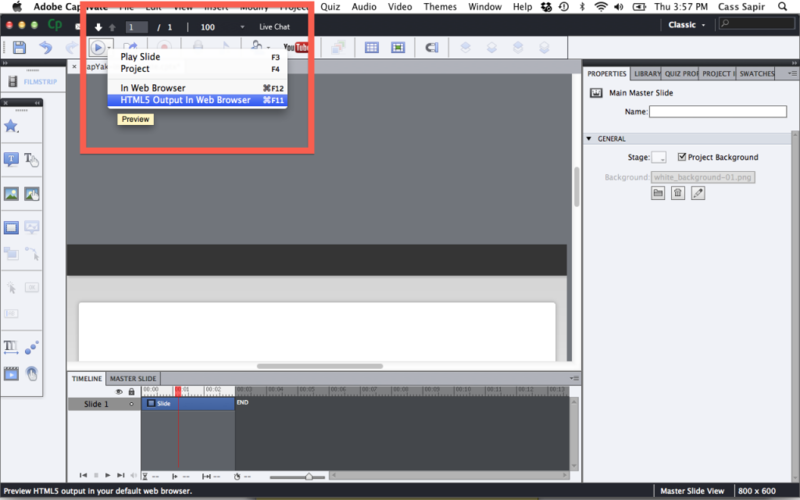 You have to create specific configuration within video editing software to merge that data, sort of like a mail merge when you're sending an email campaign, but into the video asset. The other approach- and we're seeing this gain in popularity because of its flexibility- are dynamic overlays. So rather than precisely burning information into specific frames of the video, what you're doing is you're synchronizing overlays that are applied at the moment somebody watches the video. There's only ever one video asset being produced, only one asset being managed. But dynamically, when somebody views it, the information from the marketing automation platform or CRM or cookies are merged in. Dynamically those overlays will then appear with that additional content. With this method, there are some trade-offs in terms of motion graphics, how you might actually have the visuals appear. But there's also benefits in terms of the flexibility, the lower cost, the lower volume of asset production, so the less overhead in terms of the management of it. Keep that in mind, too, if you're investigating video personalization solutions, to know which technique is utilized. Is it burned-in? Is it overlay? And maybe what's appropriate for how you're going to use it. Burned-in is generally campaigns. Dynamic overlays are generally for email nurturing. But, they could be interchangeable, depending on what your needs are. Probably the most common type is a list here of personalizing video is similar to what I was describing on the website in terms of using Adobe Test and Target to put the right content. But this is using your marketing automation platform to look at the scores of users, the behavioral attributes of users, and their interests to trigger automated emails, and send out email campaigns. I receive this all day long. You guys probably get a lot of these. You visit a website. You do a search. You do some have some specific behavioral action. You end up in that marketing automation platform tab as being interested in that content. And then the follow-up email is video- this is the third method. Why is it video? Because people open video emails. They have a significantly higher open rate. Once you land on a video, people watch longer. So it has a higher engagement. And then of course, if you combine that with the technique of a precise overlay, can be the most effective way to convert email. Video email- we see it all the time because people are adopting these marketing automation platforms for these sophisticated uses. They're combining it with the efficacy of video. You can also merge in some of that dynamic information to power the overlay technology. Most of you, 65%, are already using personalization and experimenting with emails or the website. Let me show you some examples of this type of video personalization for customer retention. 2X and 3X more effective, producing a higher click-through rate, than any other call-to-action on the same page. 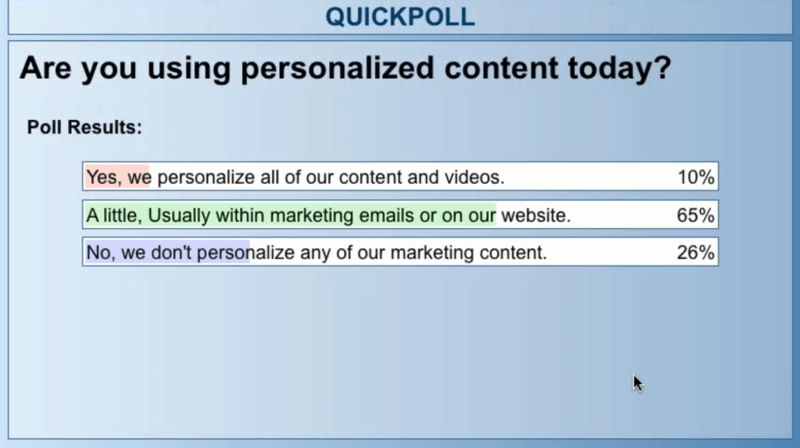 42% more effective when combined with personalization. How is this deployed? Through a marketing automation platform, email campaigns are designed. The email campaigns mail merge specific user information into the emails that are generated. When people click on those, links they end up on a landing page for a video with parameterized information about that user. And then that's all dynamically put together into a seamless experience, where there is the video, a personalized call-to-action on the end card, personalized overlays to show, “Hey, I remember you. I know who you are. You can rely on me to provide a concierge experience.” That's a really simple and streamlined implementation but powerful use case. This next example can be done with overlays or burned-in. This is an example of actual video asset with essentially simple motion graphics that are personalized. So in this case, Daniel- it has that. Daniel's itinerary is on the phone right there. I'm the viewer. My name's Daniel. When I'm watching this video, I'm, thinking, “What else do they know about me in a way that proves they can deliver this concierge experience?” As a business, you’re conveying that you know and respect your customer. Personalization reduces acquisition cost up to 50%, and it’s because of this acknowledgment. Think of all the various touch points you might have from someone. Maybe they're identified at some point. Maybe you know something about their behavior. Whatever it is, if you can utilize that information to tailor the actual content experience, not just the content asset. You're building on the communication that recognizes them. Ultimately is going to lead to the places where your video calls-to-action are effective. There are many pieces in a customer lifecycle. Different techniques are going to be appropriate at different times. These videos go out from their account-based marketing solution, these campaigns. The call-to-action is a specific call-to-action saying in that case, hey, Chris, do you want to ask Tara a question? The call-to-action is personalized for you. And the person in the video, they have a name, too. It's personalized for them, right? So the account manager, in this case Tara, this is her video. Each account manager has her own video. Their production is based on a repeatable template for shooting these things. They've seen some great results, right? They've seen awesome open rates, impressive share rates. They share it with another person because they think it's cool. Great engagement rates- that means the email recipient is moving through to the landing page. They're actually viewing the majority of that video experience, creating a huge amount of time-on-site, so they’ve heard the content, the message. They're engaging. Final result? This is among the most successful ways this company books meetings. You can send an email and say, “Hey, reach out to me. Let's have a meeting and talk about X.” No one ever opens that. You send a video like this, where the brand shows they know who you are, and lets you directly engage by combining interactive video with a personalized call-to-action- then, it's actionable. The customer is going to ask a question or book a meeting. And that's precisely what this company is seeing. Just Start. I know I threw out a lot of different technologies, discussed a lot of integrations. But it's easier than it used to be. There are ways to try any of these capabilities individually. But you're going to see the impact. You're going to see the outcomes. Integrate these capabilities to use video throughout the whole customer journey. Interactive video can be valuable at every stage- because communication is always critical. And then think about what systems will be touched first rather than last. Think about video like any other content, not as its own silo. Do what you can to break down those silos. Make sure it's going to integrate across the systems where you're ultimately going to measure your results. And you'll thank yourself. 1. Are these interactive video campaign principles B2B or B2C or both? That's a great question. I would say the principles are both. The principles are absolutely both. My area of expertise is B2B. Our customers are B2B. So regarding these specific examples and the technology stack generally used, they are in B2B. I'd say in B2C, especially around e-commerce, where people are often logged in, often have accounts. There are behavioral profiles. I'd say that's the specific area of B2C that I think has the most overlap in terms of the techniques and capabilities I was discussing. 2. Can I add personalization to existing videos? Absolutely, yes, all the different techniques that I mentioned except the burned-in video campaign. But with the other technique, creating personalized calls-to-action (making sure you're showing the right content at the right time to the right person) these are things that are broadly accessible to any existing videos that you have. 3. How does interactivity work with sound or music? I did not cover this yet, so that's a really good question. That is connected to the burned-in video again. 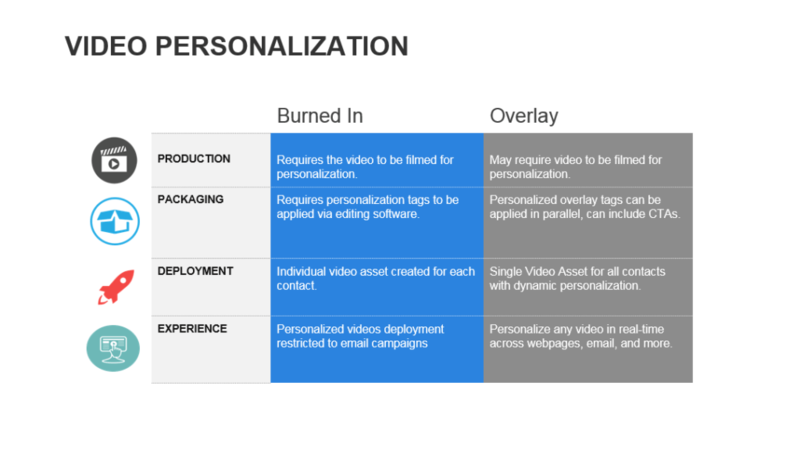 For the burned-in video personalization, there is generally options for graphics, for music. Those solutions will actually provide those types of capabilities. 4. What is the level of technical expertise required to create an interactive video? Can I do it myself? Or do you have services to help? We do have services to help. But you can do it yourself. I guess an interesting way is I think everyone should experiment. Everyone should dabble. But I don't want to give the importance of an effort like this short shrift. If you have people in your organization who deal with A/B testing or personalization for other content types, you should try to get them involved in the conversation. Because you can use these techniques. You can prove the value proposition and have initial success. And you can generally do so independently with tools that are available from HapYak and things you might be able to find. Keep in mind the strategic view about how you're going to roll this out and utilize it should always be the goal. So if your organization has anybody with the wherewithal to understand a conversation like this and personalization, I'd recommend getting them involved. 5. Are there any differences in the interactive video experience depending on the device- phone, tablet, computer? I say yes, there are differences- anybody that says otherwise is probably not giving you the right answer or a good answer. The form factor and the way people consume information on the go through a mobile video experience is simply different than on the web. It's simply different. You should always consider when the personalized overlays make sense. Do they make sense on a mobile device? Do they make sense on a web browser? When should you use any of these techniques? It definitely matters. From a technical distinction, no- most of the technical barriers are erased. You can perform just about any of the techniques that I discussed on phone, on tablet, on web. You can start with a standard strategy that treats them all the same of course, but I think that you should optimize the experience by device type, if possible. And you might ultimately want to use different techniques. 6. With regards to video and email, is it video embedded or online links, bearing in mind most email clients lack the support requiring various codecs? When I talk about email campaigns that are including videos, I'm really talking about including a thumbnail image that links to a page. It is possible to embed video in email, at least for certain email clients. I don't know if we have any customers currently doing that. Because it's limited. It's complex. And quite frankly, the cost benefit is not obvious. Just letting somebody click and link out, you end up with better data about their behavior. You know they clicked on it. You've also got more control over the experience. Generally, a thumbnail that's linked to a landing page is still the best technique, at least as far as what I'm saying our customers do. And I think that's it for questions. So hopefully, we'll see you on another webinar in the future. Thank you so much for your time today. Hey, it's Cass from HapYak. I'm going to walk you through in the next few minutes how to produce the prototypical and ideal branching or choose your own adventure video. This is a very popular type of interactive video produced these days. I always like to think about it like those books you may have read when you were a kid. If you want to go into door A, skip to page 74. Door B, skip to page 97. 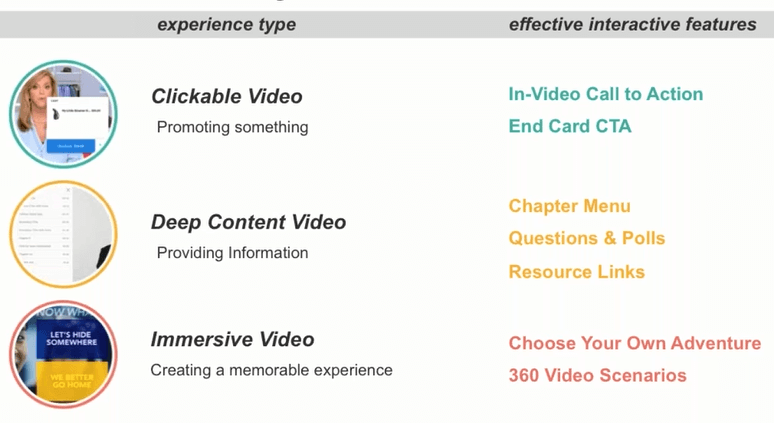 Branching and choose your own adventure video is popular, both for B2B marketing-- often we see that use case-- and e-learning or corporate training, because what it does is it allows the viewers to personalize their own experience. Each viewer is coming to the video with a different set of background knowledge, and really with a different goal of viewing those videos. And a branching and choose your own adventure video allows you to reach that goal much faster, much more efficiently, and have a much happier and engaging experience. Interactive video is a show me technology, so let's skip right to an example. This first one is with James Earl Jones. Who doesn't want James Earl Jones talking to you? So let's watch this experience of what I think is one of the best, most ideal branching and choose your own adventure videos out there. Hello. I'm James Earl Jones. Staying informed is one of the best things people can do to make it possible to live well with Type II diabetes. And some of the most important topics on INVOKANA can be found right here. Click one of these icons to learn about the topic that interests you. Let's pause for a moment. Best practices for branching videos. There are three that are demonstrated really well in this video. Number one, reserve half the screen for the talent or subject matter expert, the other half for interactions. That allows a very clear layout to be explicit to the viewer, this is an interactive video. You can click on something. It also follows best practices for mobile interaction design. You want big, clickable targets. A lot of your viewers are going to be on iPads, on iPhones, on smartphones. You want these big, clickable targets. Reserving half the screen for those interactions is a useful technique. A lot of what I'm talking about here is really producing a video with interactivity in mind. When you're writing your script, when you're drawing up your storyboards, when you are on set, on studio and you're setting up your shots, you want to consider these best practices. So that's one. Half the screen for talent and half the screen for interactions. Number two, be very explicit. James Earl Jones was saying, this is an interactive video. You can click on a topic. You can skip to the section that's most relevant to you. That helps turn what was once a monologue-- video was once a monologue-- into a dialogue. And you can have a conversation with the viewer, tell them they can click on something and they can branch off to a different section of the video. Number three, they really simplify the shoot. As you can see, this is in limbo against white, this particular shoot. We often see that, or against a green screen with motion graphics in the background. The experience is the star here. You really want to think about having a conversation with the viewer, and don't distract from that conversation. Allow the conversation to happen, and allow space for the interactions to happen, for the viewer to continue that conversation. A final mantra we like to say at HapYak is make video work like the rest of the web. And what is the web? It's clickable. It's interactive. You can guide your experience. Video has never been like that. But now with branching and choose your own adventure video, it is. Let's click on a choice and see what happens. - Of course, we may not all be doctors. But how medication works is certainly something I'm interested in. And if you are too, you can learn more here. So I'll click on the call-to-action, in this case, it opens up another tab. And I can learn more about this topic. This is classic content marketing. You're continuing the journey for the viewer. You're educating the viewer on these topics. You're getting them comfortable with your brand and the value proposition of what you guys offer. This is what INVOKANA did which was so smart. Each of those four sections has a unique call-to-action that's specific to the topic that's relevant to the viewer. In this case, you click through to another video. Another one clicks through to a landing page where you can continue a conversation with a real human being. So there you have it. Number one of two examples. Let's skip to the second one here. I love this one. This is a branching video that's produced for training. In this case, it's support training by a company called Nutanix. What they're actually trying to do is replicate in-person training. This person used to go around the country training people in person, support personnel. And replicate that with interactive video-based training. Let's take a look at the experience together. - Welcome to the Nutanix Support Experience for authorized support partners. My name is Al Harper, and I'm a Systems Reliability Engineer with Nutanix Support. I'm the author of this module, and I'm very excited to share with you the Nutanix Support experience. So let's mute him while it continues playing. I'm going to skip directly to the branching menu. He lays out five options. The greeting, the problem description. These are all topics that you as a viewer can learn about. The information is presented to you. You start getting comfortable with what the topics are inside the video. I'm sure all you guys are used to you load a video. You see it's a very long video, and you start hunting and pecking and clicking on the timeline. What's inside here? Is this really relevant to me? Is it worth my time? When you lay the topics out like this explicitly, the viewer typically gets very comfortable. And they'll simply watch more and more of the video. Now, I as a viewer am going to click on a particular topic. I can learn more about it. If I like, I continue. If not, I'm going to skip back to the branching menu here, and I'm going to make a selection. Now, let's go over those best practices again. Number one, screen right for the talent, or screen left. Reserve the other half of the screen for interactions. Number two, be very explicit. These are the topics. You can click on one. And I like this little technique where they let the camera roll on set, and they have Al gesture towards the interactions and create a little fun. Have some fun with it. This will increase click-through rate. But perhaps more importantly, it really increases the satisfaction with the viewing experience. 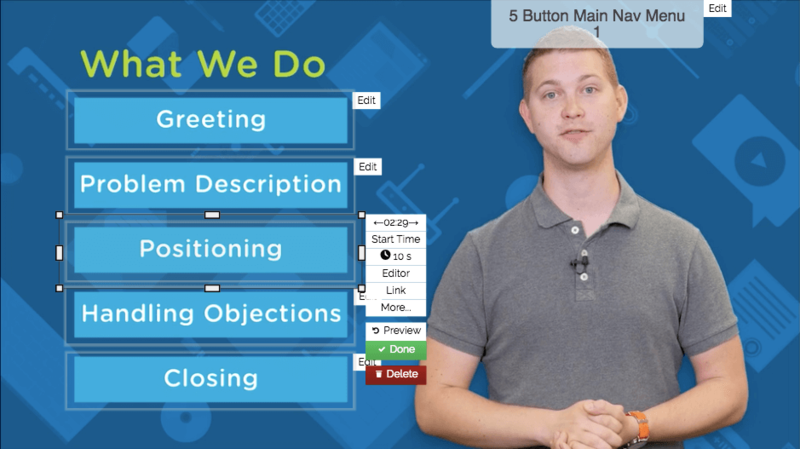 Typically, if you do a CSAT or a learner satisfaction survey, you'll see that interactive video like this is much higher than any Click Next learning you might do with a slide-based authoring system. Now, we're going to go into the tool in a moment about how to actually author this. The final thing I'll say about the video is this unit and Nutanix, they're very talented with motion graphics, After Effects and motion. So what they did is they did the shoot on green screen. You saw a lot of ins and outs into the branching menu with really cool wipes with motion graphics. So have fun with that. Be explicit and let the audience know their options. Keep your video shoot simple, but create a fun, engaging experience! But all the stuff you see in here is actually from After Effects as well. The only thing they're using HapYak for is invisible video chapter markers and invisible hotspots that allow someone to branch to a different point in the video. Let's take a look at that together. Here is the menu laid out. If you remember, there are five choices. The first thing Nutanix did is they went to the video and they framed it out. They said, well, at this point, this is going to be the beginning of the Greeting section. What I did is, I clicked on an invisible chapter here. I typed out the title. I clicked Done. I would create that invisible chapter menu. What that's going to allow you to do is when you're at a point where you want to branch someone to a particular point in the video, you're going to be clicking a Link option. And when you add those invisible chapter menus, it creates this really handy menu. So you can say, yeah, I want someone to skip to the greeting when they click on this particular annotation. The annotation Nutanix used is the hotspot annotation, the one with this icon right here. It's an invisible overlay. And again, all it's doing is linking the person to a different time in the video. There are five choice points here. If you remember, the viewer will watch. They'll have the opportunity to make a choice. And if they don't make a choice, you'll see it'll loop back to the beginning of this choice point. The way they did that. In the Edit menu, again the Link option. If the viewer does not click, they clicked Loop Back. And that's a very handy technique to allow people the option to consider which choice they want to make. My favorite analogy here is the show "Blues Clues," a children's show that used to be on. "Blues Clues' was the first one that allowed the child to respond to what they were seeing. The host would ask the child a question, and then he'd literally pause for about 10 seconds and stare at the camera and allow the child to consider their answer and talk it and say it back to the television. Interactive video is the exact same way. You want to give the viewer seven, 10 seconds to consider what they want to do next, and then click on it to branch off to that section of the videos. So I like that rule of thumb. Between seven and 10 seconds for a choice point is a great rule of thumb. So that's it. We've walked through a couple prototypical examples. We've walked through the best practices of producing video with interactivity in mind. We love leaning in when you're working on these marquee projects, so please keep the dialogue open. E-mail us at support@hapyak.com. Use this built-in chat functionality, which is really handy, where you can ping us with a quick question on your project. And we'd love to advise. Hope it's helpful. We'll be doing a lot more videos like this in the future, and thanks so much for listening. This post was originally published by Cass Sapir on December 5th, 2016. We have updated this blog with additional resources and a transcript.